The question about the involvement of foreign judges in the mechanism to investigate the allegations of Human Rights violations during the last phase of the war between the security forces and the Liberation Tigers of Tamil Ealam (LTTE) has come to the fore again. After a few stories about the comments by politicians in the media, the issue made headlines when the Consultation Task Force on Reconciliation Mechanisms handed over its report to former President and the Chairperson of the Office of the National Unity and Reconciliation (ONUR), Chandrika Kumaratunga on January 5. In spite the Task Force having discussed many issues, only its recommendation on the involvement of foreign judges in the accountability mechanism had been highlighted by the media. However, reminding us of the fate of the Lessons Learnt and Reconciliation Commission (LLRC) and the All Party Representative Committee (APRC) - both appointed by former President Mahinda Rajapaksa, the recommendation was rejected by the very government that appointed the Task Force. 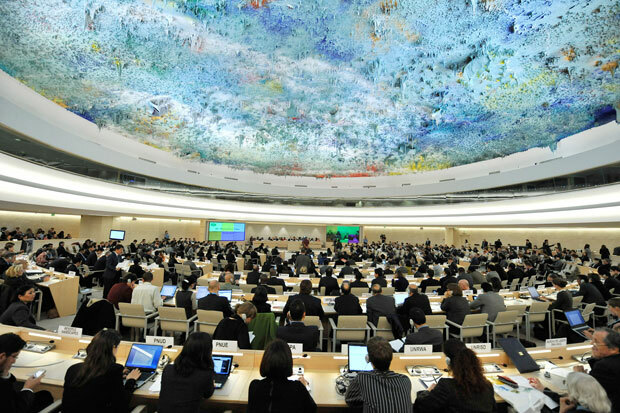 The LLRC recommended the creation of a domestic mechanism to investigate the alleged Human Rights violations was rejected by the Rajapaksa government leading to the intervention by the United Nations Human Rights Council (UNHRC). The same fate had befallen on the APRC when it reportedly recommended a set of proposals on the devolution of power. Besides, the APRC report never saw the light of day. Soon after the report prepared by the Task Force headed by Manouri Muttettuwegama was handed over to Kumaratunga, so many Ministers rushed to reject the recommendation for the involvement of foreign judges. Cabinet Spokesmen, Ministers Rajitha Senaratne and Lakshman Yapa Abeywardena told journalists that President Maithripala Sirisena had already rejected the international involvement. Senaratne further stated that the United Nations Human Rights High Commissioner Prince ZeidRa’ad Al Hussein had accepted the Sri Lankan position during his visit to the island in February last year. Buddha Sasana and Justice Minister Wijeyadasa Rajapakshe went on to reject not only the recommendations but also the Task Force as well. He said he did not have confidence in the Task Force. The Secretariat for Coordinating Reconciliation Mechanisms formed by the Cabinet on December 18, 2015 and headed by Mano Tittawella and the Task Force under it, comes under the Prime Minister’s Office. The Secretariat is tasked with the design and implementation of Sri Lanka’s reconciliation mechanisms. Another purpose of the Secretariat and the Task Force seem to be showcasing to the world the efforts by the new government towards reconciliation among various communities. Although many members of the Task Force are associated with NGOs it is not an entity totally outside the State machinery. Had the government leaders such as the President and the Prime Minister been against the foreign involvement in the accountability process throughout the period since they came to power, there wouldn’t be anything to discuss at this juncture, when the Ministers reject the foreign judges on behalf of the government. However, it was puzzling as to what the future relationship between the international community and Sri Lanka would be, when the latter rejected one of its own commitments to the former. The relationship between the international community and the Sri Lankan government had been soured during President Mahinda Rajapaksa’s tenure as the government went back on its words on the accountability issue. Rajapaksa had personally given an assurance to UN Secretary General Ban ki-moon a week after the end of the war that the accountability issue would be addressed. Despite the LLRC report being the only Sri Lankan commission report that the international community had accepted, though with reservations, the Rajapaksa government did not take follow up actions with its recommendations. This backtracking game resulted in three resolutions against the Sri Lankan government adopted in the UNHRC and an international investigation into the war crimes allegedly committed by the security forces and the LTTE. President Sirisena’s government attempted to show the world that it was different from the previous regime in respect of Human Rights and democracy. And Foreign Minister Mangala Samaraweera called on the world to not judge the new government by the ‘broken promises, experiences and u-turns of the past” during the UNHRC session in September 2015. In fact the government took several measures towards reconciliation including the appointment of civilian Governors to the Northern and Eastern Provinces as demanded by the Tamil political parties, removal of ban on Tamil diaspora organisations and the lifting of the blocking of certain websites including the Tamilnet run by the LTTE. It did not call for a hybrid court. With this agreement Sri Lankan authorities who co-sponsored the resolution argued that investigation against selected security forces personnel would clear the name of those forces of human rights violations. However, President Sirisena dropped a bombshell in January 2016 during an interview with BBC by saying he did not agree with the foreign participation in the accountability process. Until then no Ministers protested against the foreign judges. This was what Minister Senaratne had referred to recently. Hence, it now seems that many Sri Lankans, including Minister Senaratne, had misunderstood what Al Hussein had said during his Sri Lanka visit. Although both Sri Lankan leaders and the UN Human Rights chief had apparently been wavering between participation and non-participation of foreign judges, it is the UN version that would finally be counted. Therefore, the question remains as to how Sri Lanka is going to justify its rejection of foreign participation in the accountability process after co-sponsoring the UNHRC resolution.